Epic’s newest demonstration of the latest Unreal Engine is really a peek into the future of graphics - one that will arrive soon on desktop and notebook computers, and much later on mobile platforms. And it’s impressive - the newest update to the Unreal Engine now features DirectX11 and Microsoft’s Shader Model 5 and supports the latest Nvidia’s Kepler-based graphics cards expected to arrive later in the year. The Unreal Engine powers some of the most impressive iOS games like Infinity Blade and Epic Citadel. This new iteration is setting the benchmark for future releases, and it’s likely that titles from similar genres will use the new engine in the coming years. Nvidia’s anti-aliasing technique, Fast Approximate Anti-Aliasing (FXAA), is part of the magic that makes the graphics so close to realistic. It improves the visuals by smoothening jagged edges. 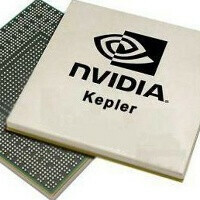 To make it all possible Nvidia is releasing 28nm-based Kepler graphical cards, named after the mathematician Johannes Kepler. Rumors for the new Kepler-based graphic cards from Nvidia point to a release in the coming month, but the company has not confirmed anything officially yet. Check out the demo below, available in 1080p, and let us know your thoughts about it in the comments. Unreal originally showed this demo off several months ago. It was rendered using 3 Nvidia GTX 580's in tri SLI. But since we wont see any games produced with Unreal Engine 4 for at least a year or more, I am sure they will have plenty of time to optimize the engine for more normal setups. I heard that this new engine should run fine on a single card in the coming years, possibly even the new Kepler card coming from Nvidia..